Trentemoller - Harbour Boat Trips Vol. 02 Copenhagen by Trentemoller. Vinyl LP. Bleep. 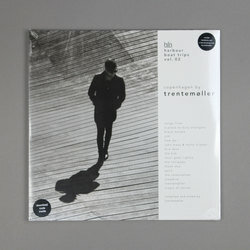 The hero of techno Anders Trentemøller returns with a second volume from his Harbour Boat Trips series. Featuring the globetrotting DJ’s recent favourites, lovingly arranged for your listening pleasure, Trentemøller’s mix is a wistful and sea-spray soaked trip to places unknown. From vintage Danish pop to space-age shoegaze washes, moody ABBA covers to remixes courtesy of the curator himself, Trentemøller showcases the brand new and unearths forgotten gems.